But throughout the lifetime of Apple TV, and especially in Monday’s minor tvOS updates, Apple seems to be working to fix the fact that no one actually wants their TV to be a set of apps. The reason is pretty simple: you don’t want to navigate 100 different app menus and designs, each ostensibly tailored to the type of TV content that lives within them. It’s a pain to deal with an ESPN app, and a Netflix app, and a Showtime app, and a Sling TV app (also announced Monday at WWDC). What you want is, more likely than not, is a universal search and suggestion mechanism that fetches you the right content — as fast as possible. Apple understands this, or at least seems to given how much its recent tvOS updates have focused on Siri. On Monday, Apple announced a few updates that make the Apple TV less of a set of apps and more of a unified TV experience. 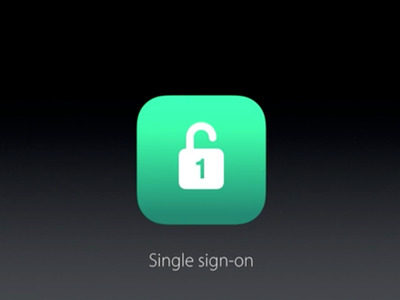 The most prominent is called “single sign-on.” While Apple didn’t go into the details of exactly how it will work, the basic problem it’s meant to solve is that no one likes signing into every Apple TV app associated with their cable account (FX, CNN, and so on). Apple says it’s getting rid of all that. You’ll be able to sign in once and then get access to all the associated apps (although it’s unclear exactly which are compatible). Here we see Apple working to make its apps less siloed. Another feature in this vein was “live tune-in,” which will let you tell Siri to drop you into supported live channels like ESPN 2 (the example Apple gave). Saying “watch ESPN 2” will take you right into the action, SVP Eddy Cue said. Again, here we have Apple trying to break out of the app framework. No one wants to have to navigate to the ESPN app and through a menu to just turn on live ESPN. Apple keeps saying the future of TV is apps, but what it really seems to mean is that the future of TV is a universal, Siri-based interface that can connect you to any content you want to watch. And frankly that’s a future that sounds a lot more appealing.